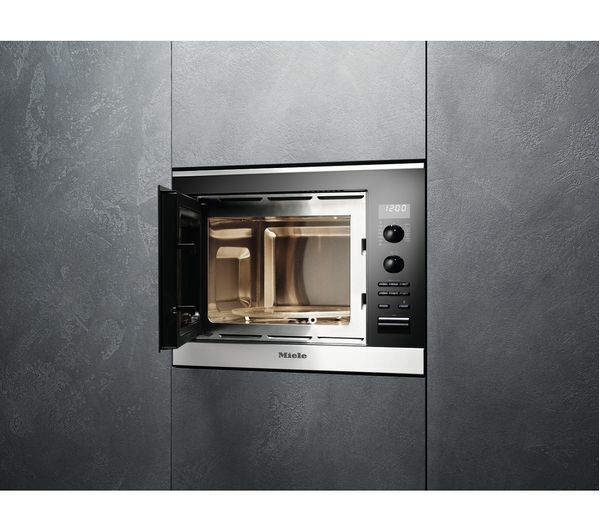 With 800 watts of heating power, you'll be able to cook and reheat a variety of foods. 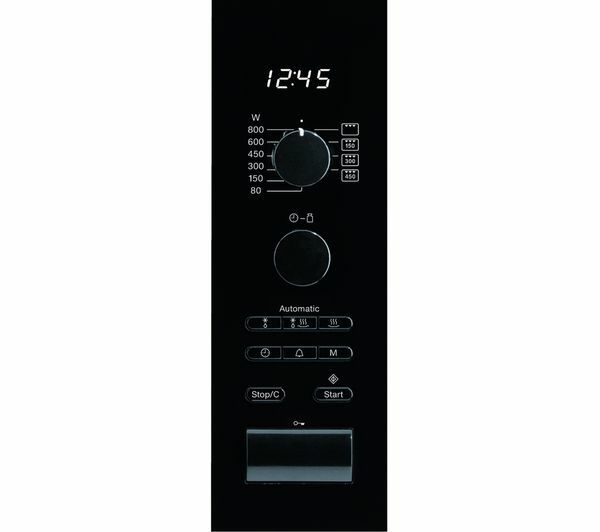 This versatile microwave oven allows for 17 litres of capacity and offers a magnificent 17 programmes to choose from. So no matter what you are cooking or re-heating, you can rest assured that it will be cooked safely and to the highest standard. 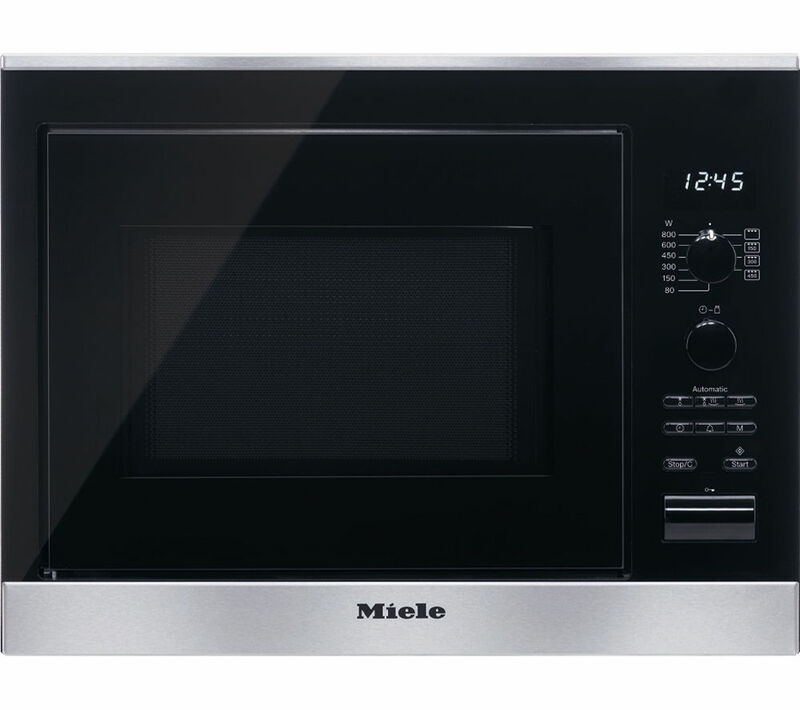 Not only does this Miele Microwave do all the things a conventional microwave should do but it also has the benefits of a quartz grill for faster grilling results. Perfectly brown off cheese on toast, crisp up toppings; all in less time than a conventional oven or grill. With the bright LED lighting inside the microwave, you can place your food in the spotlight and keep an eye on what you're cooking. Thanks to CleanSteel technology, you can say goodbye to fingerprints. 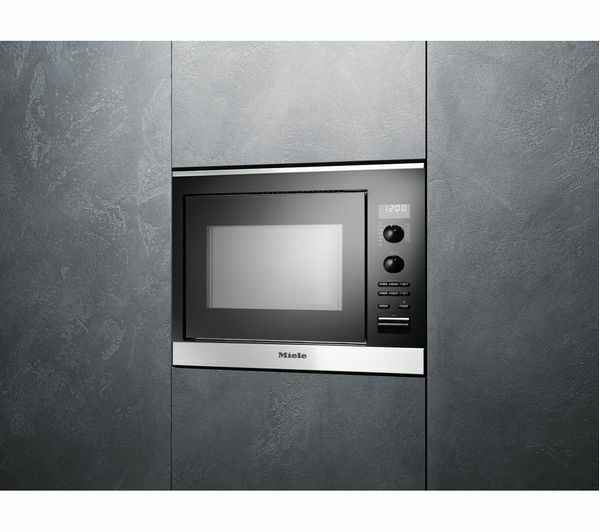 Your built-in microwave and grill can continue to look as good as new no matter how much you use it. Slightly larger than it's predecessor which we'd had for 25 years. Building in dimensions not comprehensive enough.